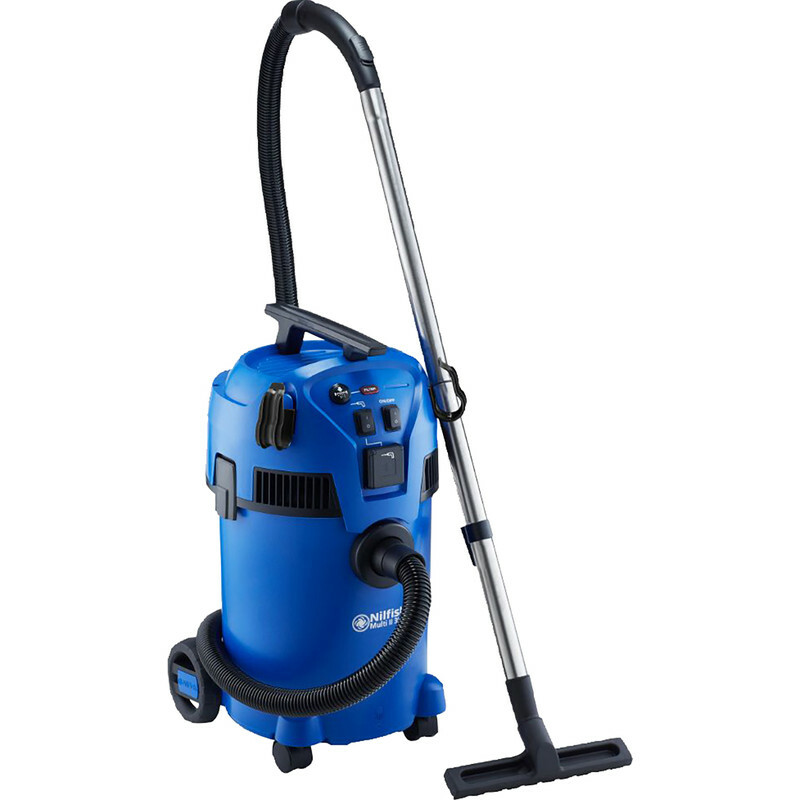 Robust and easy to clean polypropylene vacuum. Air flow slide control on handle. Blow function for dislodging debris. Complete with power tool adaptor, 5m cable, washable wet & dry P.E.T. cartridge filter, fleece filter dust bag, 4m x 36mm diameter suction hose, wet & dry floor nozzle, crevice tool and 2 x 500mm stainless steel extension tubes.